My personal belief is that one of the best parts of the holiday season is the week between Christmas Day and New Year’s Day. All the gift hoopla is over. No more worries about whether a clothing item is going to fit someone or baking deadlines. I am fortunate to be able to take some vacation days this week and spend time with my kids. They are, currently at this moment, watching The 1975 in concert….via the internet. They are not actually at the concert. Although both of them saw The 1975 in person this year. Twice, I think. But that’s a story for another day. Since I am not the biggest fan….or actually a fan at all, I have retreated to my bedroom to write. I know…I know…there are cool moms out there who would indulge and are probably Matty fans. [Matty is their lead singer] I DID watch the entire first season of Atlanta with my kids over the past few days, so I am not all that out of touch. 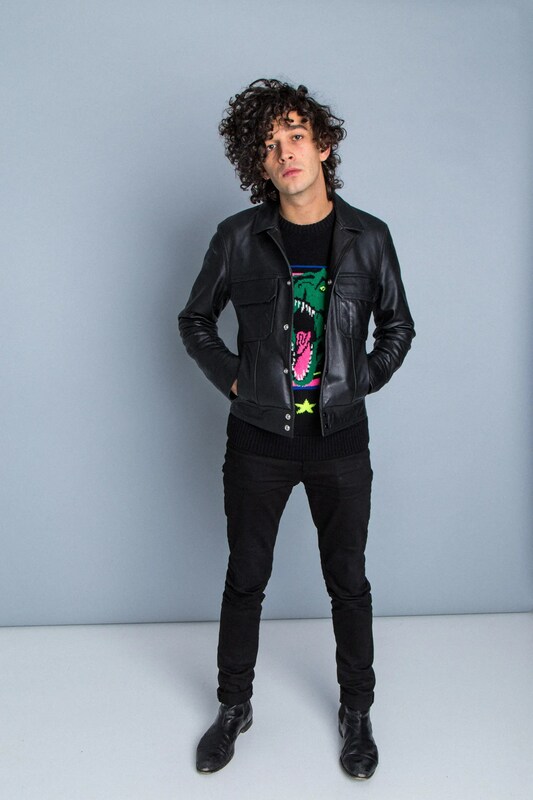 And, just so you know, IMO [that means in my opinion… for the unaware], Donald > Matty. Above is Donald, creator and star of Atlanta…..also he’s done a bunch of other stuff and is aka Childish Gambino….below is Matty who is British and skinny…which there is, of course, nothing wrong with being. But anyway, my afternoon blogging intentions are not to discuss who my daughter thinks is cute [do girls today still say “cute”?] or play music critic. What are my intentions? Thanks for asking…. I think I’m attracted to the struggle. Why do I think this? Again, thanks….. I think I feel bad if things are easy. I expect life to be hard. I try to encourage other people, lift them up, make them feel better. But in my own head, I tell myself, well less encouraging things. I hope. And for the most part believe in the good in the world. But I plan on a long road to get there. I guess I take the old, “in the world you will have tribulation” too far. I find myself in difficult situations. I find myself wanting to be with people who are seemingly struggling with something. I can’t imagine living in the suburbs. My dream car is a Jeep Wrangler. Not a luxury vehicle. I make myself walk to the donut store on Sunday mornings. Instead of driving. And recently while walking back on a Sunday morning, a man pulled over to see if I wanted to get into his car. Which is gross and sad and seriously kind of strange that I actually live in a place where a person would think I am what he thought I was. And maybe none of the above truly equal “struggle”, but I do feel like I go out of my way to not live an easy life. So I have to ask myself why and would it be all that horrible if I did have an easy or at least easier life. Does that make sense? Or does it sound like a person who has so very much compared to a lot of people just being sanctimonious? Either way, I think I need to balance between self deprivation and my thoughts of what’s selfish. That’s a goal for 2017. To let myself not feel like I have to always choose the harder path. To be a bit more free. And happy. I often feel guilty if I’m happy. Which is ludicrous I know and I don’t particularly want to be an emotional martyr but that’s what comes naturally most of the time. Thanks for reading. I hope you’re not one of us [the struggle is real] people.